My daughter recently had a birthday. Of course we had a party. Her theme was princess this year. All the little girls wore princess dresses and tiaras. It was a really special moment for her. I decided to keep the food simple this year. Clean and light. I made my ramon noodle salad, (Featured on this blog) deviled eggs, hot ham and cheese pretzel roll sliders, chips with salsa, and this awesome crab dip. All the food got eaten. I was so happy to not have a fridge packed with wasted leftovers! 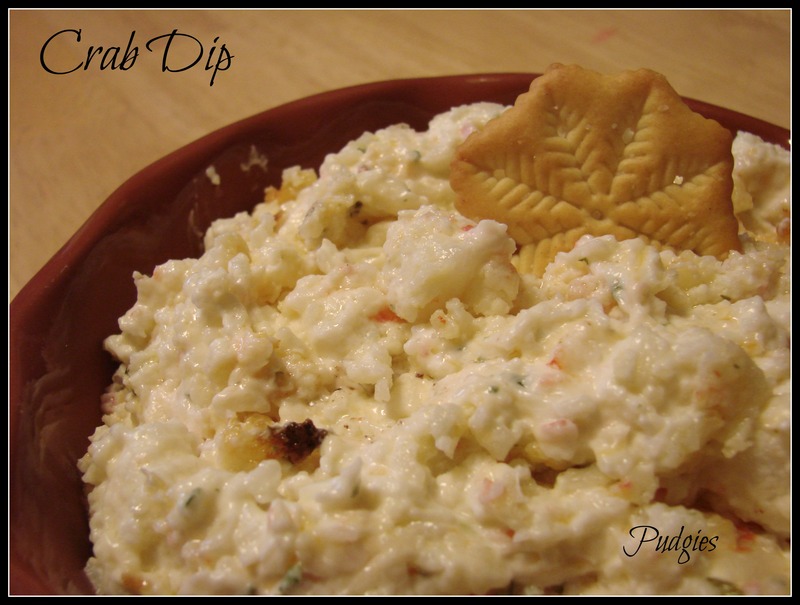 This is one of my favorite recipes I came up with for crab dip. It can be eaten cold too. Combine all ingredients in a medium bowl. Blend well. Add seasoning to taste, if desired. Put into 1 quart casserole dish and bake for 350* for 10-15 minutes or until bubbly. While searching for inspiration for my Memorial Day potluck dish I came across an h-orderve from www.addictedtoveggies.com. She made a creamy spinach dip and put it in cucumbers. How clever. I wanted more of a healthier version with a huge punch of color. If your food looks like candy, everyone will eat it! 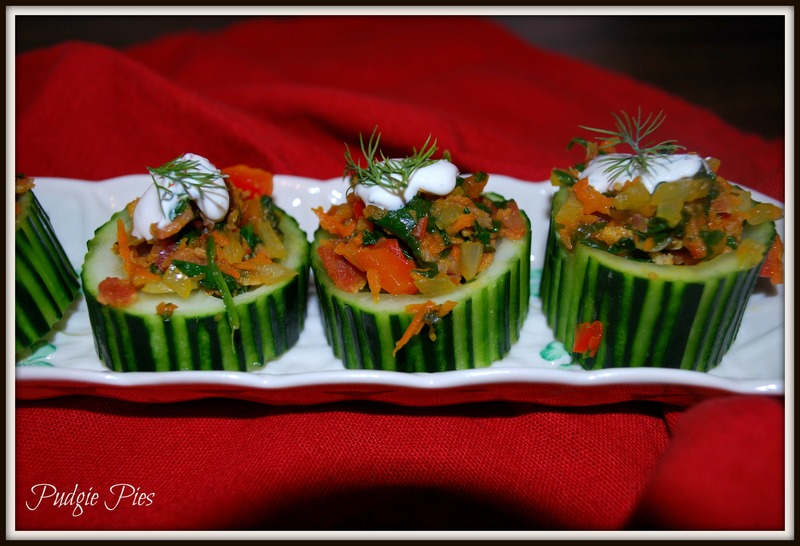 I originally wanted to chop the veggies into tiny pieces and put them in the cucumber dry. I quickly changed my mind when I realized that it needs more flavor. So I decided to saute the veggies. Just as I was about to put the dollop of sour cream on these babies they fell to the floor! If you saw my Facebook post then these are what you were looking at! To be honest, I didn’t measure anything. I just bought the stuff and cut it up. I can’t even tell you how much I used from each item purchased either. You can do as I did or choose your own way to measure. *I made the same sour cream mix that www.addictedtoveggies.com used. However you only need a dollop for each cucumber. I froze the rest of mine for future use. So you could reduce the mix dramatically. *Mix everything together. Whisk vigorously. Start by cooking your bacon. Let that cool. Add 2 tablespoons olive oil to frying pan. Then chop up the veggies and put into frying pan. Toss. I added a few drops of lemongrass and ginger oil. But that’s not necessary. I also added a squirt of lemon juice. That also isn’t necessary. Saute for about 3 minutes on med/low heat. Next chop your cucumbers into even slices. You want to keep it on the thick side to prevent a weak bottom. But not too thick it becomes too large a bite. Then hollow out the centers with a small melon baller. I used a spoon because my melon baller was too big. 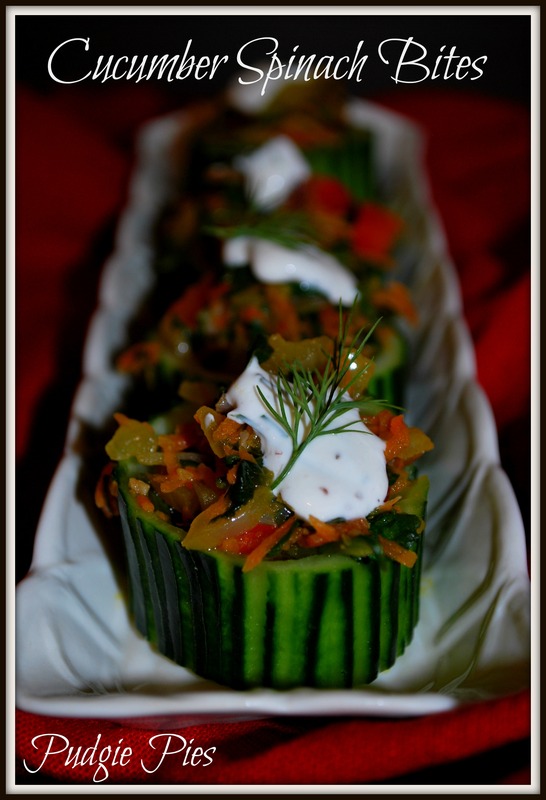 Stuff the cucumbers with the veggie mix. Put the sour cream mix into a pastry bag (or ziplock) cute tiny hole in the corner and dollop the tops of the cucumber bite. You are currently browsing the archives for the appetizers-h-orderves category.